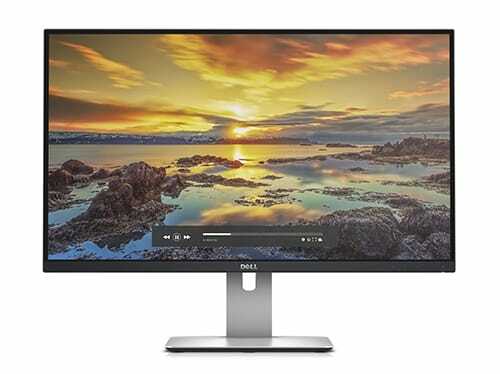 Refresh existing 27″ Dell Ultra Sharp monitor with new and improved features to drive productivity and dual or multi-monitor usage. • Award-winning performance: Since each monitor is tuned at 99% sRGB, the colors look amazing right out of the box. The ultra-wide viewing angle on this 27-inch display lets you admire the QHD resolution at virtually any angle without losing those gorgeous colors. Made with eco-conscious materials, the U2715H is BFR/PVC-free (excluding external cables) and has an arsenic-free glass and mercury-free LED panel. Enhanced power management with PowerNap enables the Dell Display Manager to either dim the monitor to the minimum brightness level or put it into sleep mode when it is not in use.